One of the inherent characteristics in the human being is his/her insatiable curiosity and thirst for knowledge, which combined with the desire for adventure, fame and wealth, has led to the exploration and conquest of the most remote, legendary and dangerous corners of the planet. Today we go back in time to remember and pay tribute to heroes –Some with a name, others anonymous at its majority- whose fascinating voyages of exploration would be thwarted by fate, the gods or the own ambition and pride of man. 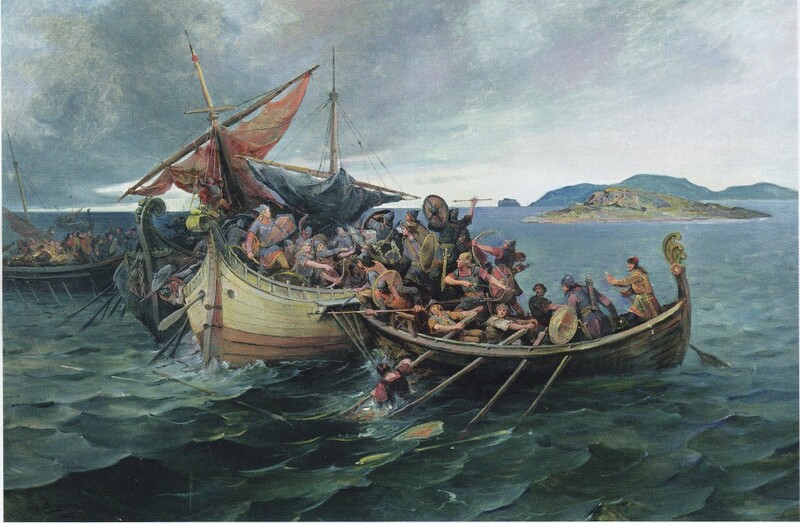 Vikings in Terranova According to the Norse sagas and recent archaeological finds, it was the Icelandic explorer Leif Eriksson (The Lucky one) who by the year 1000 would lead to the first Europeans to arrive to America almost 500 years before Cristóbal Colón. On the island of Terranova (Vinland) they would found Leifbundir as a fishing and trading settlement, however, it would soon be hastily abandoned for unknown reasons. The gold of El Dorado This legendary city, full of gold and emeralds – which ruler offered every morning to the gods who inhabited a nearby sacred lagoon – would be sought with fury between the sixteenth and nineteenth centuries. All the expeditions would end in disappointment or disaster, although they were decisive to explore rivers like the Orinoco or the Marañón / Amazonas. Especially truculent would be Lope de Aguirre (El Loco Aguirre), another failed attempt on that occasion plagued by outrages, murders, intrigues and riots (1560). Also interesting is that of Percy Fawcett, British military and adventurer (who would inspire the character of Indiana Jones) whose group would disappear (1925) without a trace somewhere in the Matto Grosso (Brazil) forest, in search of the legendary lost city of Z. In search of the Northwest Passage In 1845 the British expedition of Captain John Franklin (HSM Erebus and HSM Terror ships) would depart towards the Arctic, with the objective of crossing the unknown and strategic last section of the passage of the Northwest, that connected the oceans Atlantic and Pacific. The crossing would become a labyrinthine ice hell: extreme environmental conditions, hypothermia, diseases (scurvy, tuberculosis), hunger and even poisoning (lead) would end with all of them. They vanished between the ice and the stories about their tragic end. In 2014 and 2016 the remains of both ships were found near King William Island. Some corpses were perfectly mummified by the cold and others showed clear signs of cannibalism. The “other” ascension to Everest The glory would be for T. Norgay and E. Hillary in 1953. But even today, curious and mountaineering fans continue to wonder if the attack by veterans G. Mallory and A. Irvine crowned the highest summit high of the planet 29 years before. On June 8, 1924, they were seen for the last time, entering the mist to become legend … In 1999 the frozen body of Mallory was found at 26,800 ft (8,170 m). Whether it went up or down is still a mystery. Up there are his camera and Irvine’s corpse, at some point over 26,000 ft (8,000 m), which may one day definitively reveal to us another great mystery of epic exploration. Amundsen to the Rescue of Nobile In September 1928 the trail of Norwegian explorer and adventurer Roald E. Amundsen who would disappear a few months earlier at some point in the Barents Sea (Arctic) aboard the Latham seaplane. The experienced conqueror of the South Pole (1911) vanished in this frozen desert when he went to the rescue of his colleague and competitor, Italian engineer U. Nobile, who had been lost while piloting the dirigible Italy, after the aerial conquest of the North Pole.